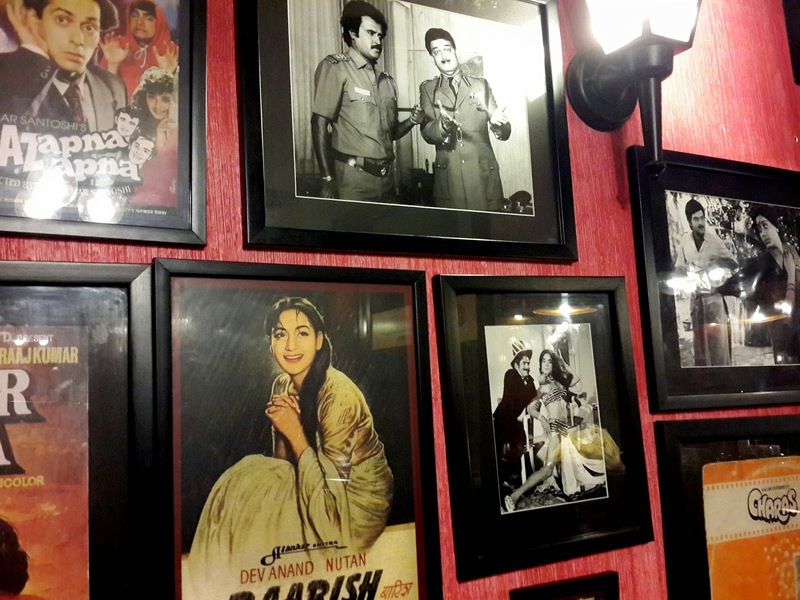 The Cafe by the name of Mumbai Matinee is placed in the heart of Sector 18 Noida Market. The very famous hangout spot for all the people of Noida or coming from Delhi for work etc. I spotted this cafe specially cause of its amazing outlook.There is a bright board which catches your eye and you can't stop but to enter this Aamazing place. The cafe is on the 1st and 2nd floor.The 2nd floor has the hookah setting if people are interested in that. The moment you enter this place you see a very bright staircase and when you reach the 1st floor and turn towards the staircase you see this amazing Makeup mirror with bulbs glowing around it in total bollywood makeup room style. Then comes an even more interesting part.. i.e The Decor. All the true filmy fans couldn't have asked for more. You immediately get fascinated with the posters of the movies you relate to. 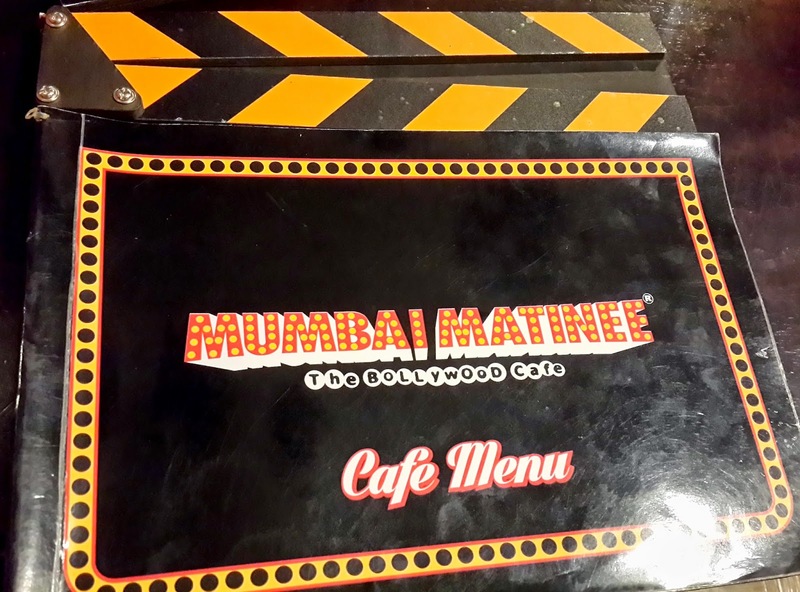 Then to add more flavour of bollywood are the amazing menu boards in the shape of movie clapper boards. You then start ordering to check out how's the food? 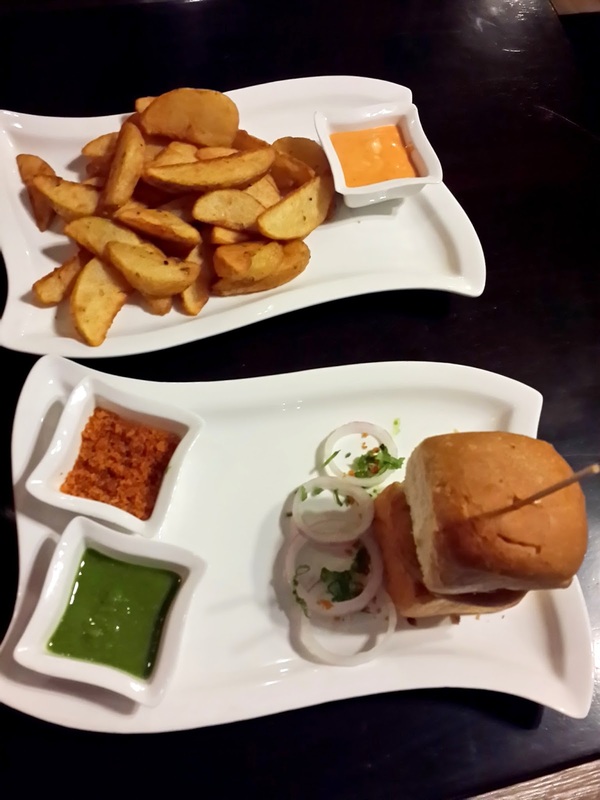 P.S i loved the Vadapao and the masala they gave with it. I also ordered Potato wedges with mayonnaise and that to was really yum. 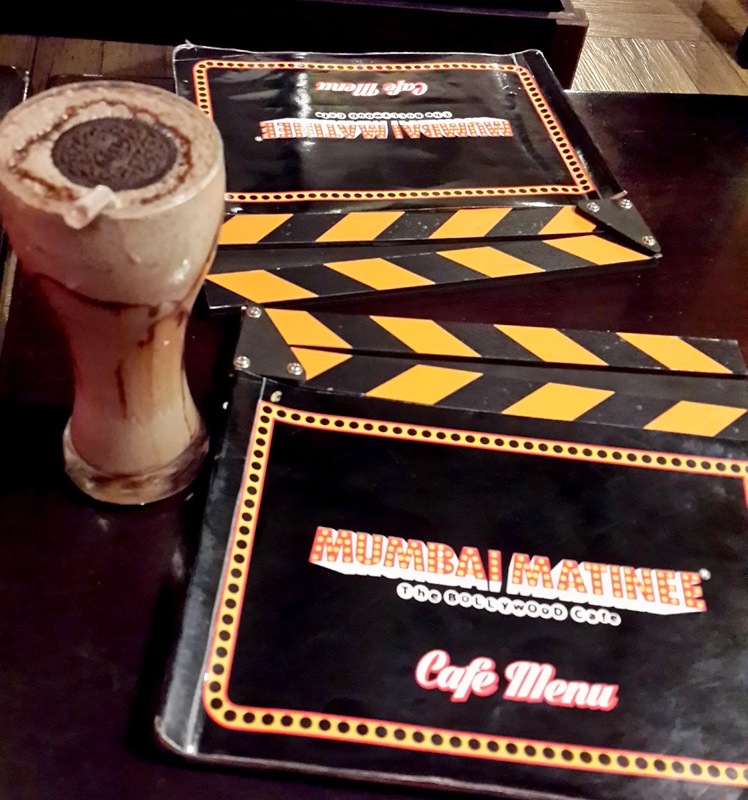 Not to forget the Oreo Shake which i ordered which was great too. I even noticed how they kept the sashays of ketchup etc in between the old cassette case stand,very creative! 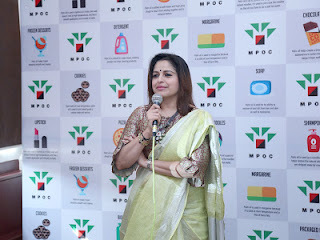 Do mail me your pictures on "lifestyle.priya1@gmail.com"